Whereas those DoT maps do seem to disprove the idea that US 18 ended on National, they are not at all explicit about where US 18 actually did end... nor about where US 141 ended. We can draw some conclusions from later maps, and we can also do some speculating, but I am not aware of any maps from the late 1920s or early 1930s that conclusively answer the question. 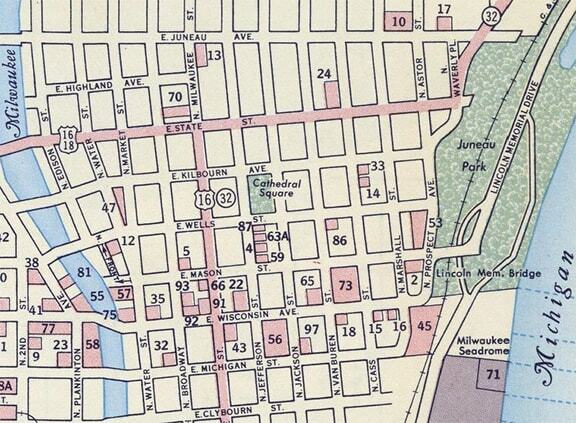 As far as US 141's endpoint, it is worth keeping in mind that the US 141 designation was originally set up as a shortcut, or alternate route, for US 41 traffic between Milwaukee and Green Bay. Therefore, it makes sense that US 141 would have had to connect with its parent route. US 41 skirted the edge of the downtown area via 27th. 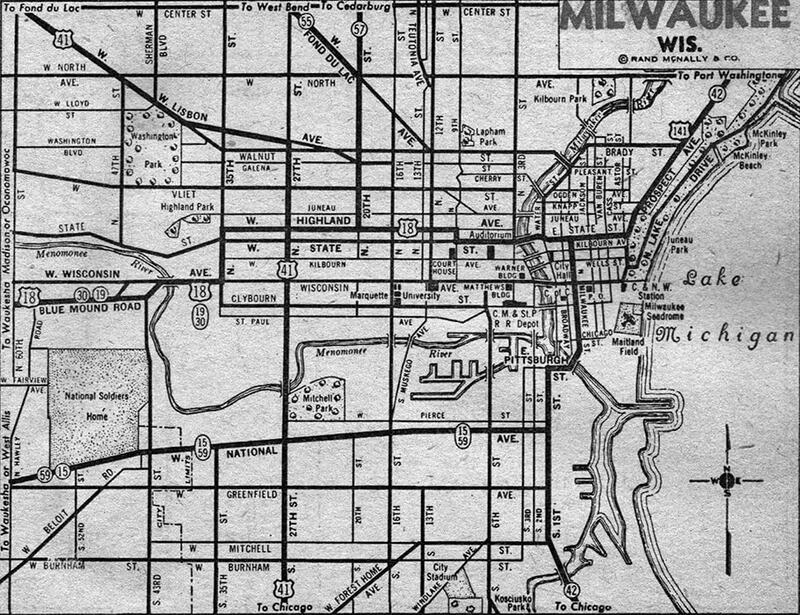 But as shown on the preceding map, originally 27th did not go all the way north to Lisbon Avenue. 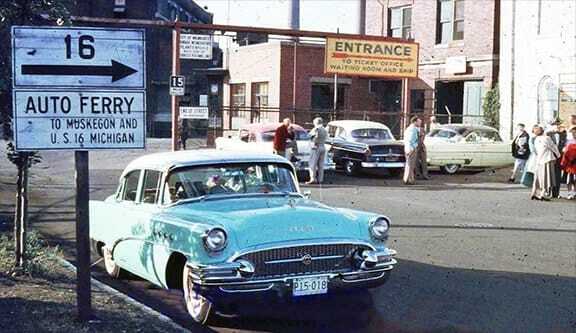 Instead, connecting traffic was directed to use Highland and 20th. 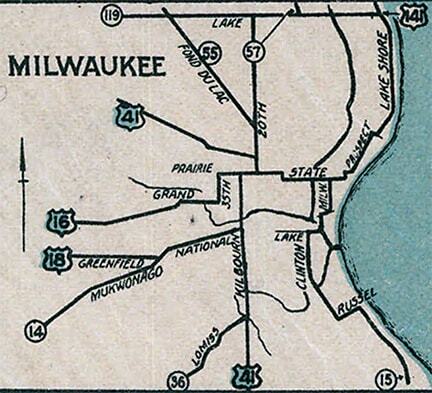 c. 1936, Milwaukee Co. Highway Dept. US 41 ran across that photo, and westbound US 18 was straight ahead. 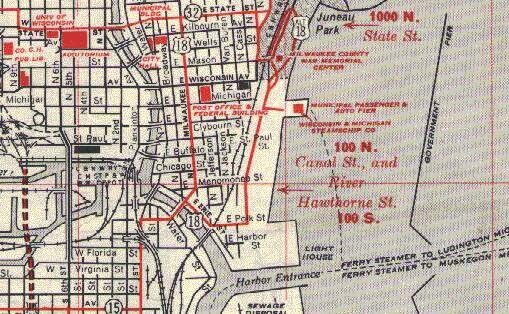 In fact, the preceding map suggests that straight ahead was the east beginning of US 18, but was that really the case? c. 1946, Milwaukee Co. Highway Dept. 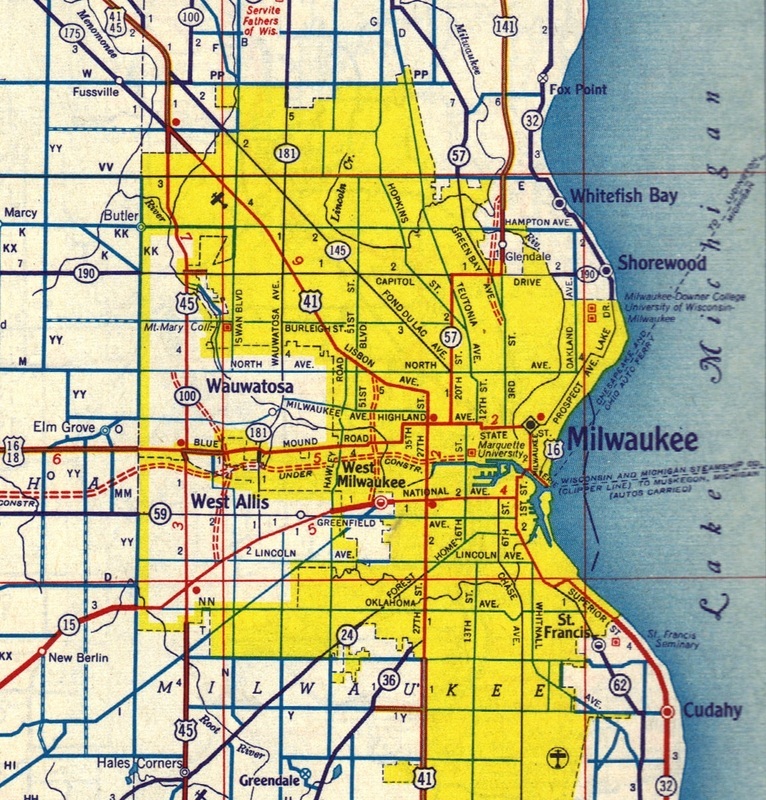 One of the earliest maps to show that US 18 had been rerouted to its current endpoint (on Michigan Street at Lincoln Memorial Drive) was the 1989 issue of Wisconsin's official state highway map. 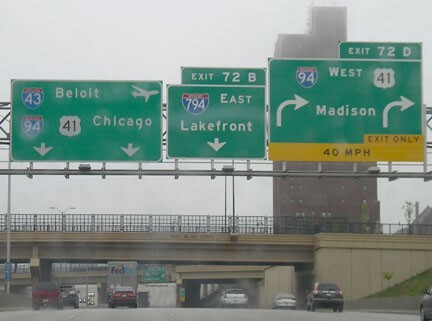 That was the final southern terminus of US 141 in Milwaukee. 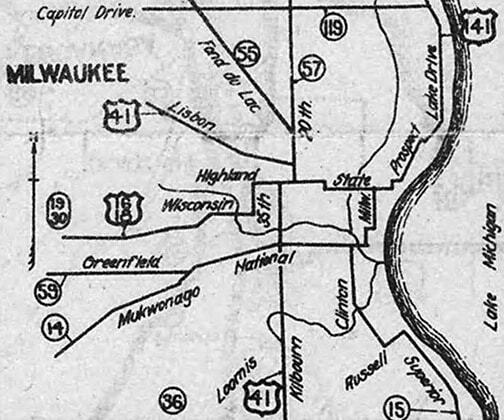 Starting at that point in 1977, the I-43 designation began to replace US 141 to the north, until by 1981 it had been truncated to its current endpoint outside Green Bay.